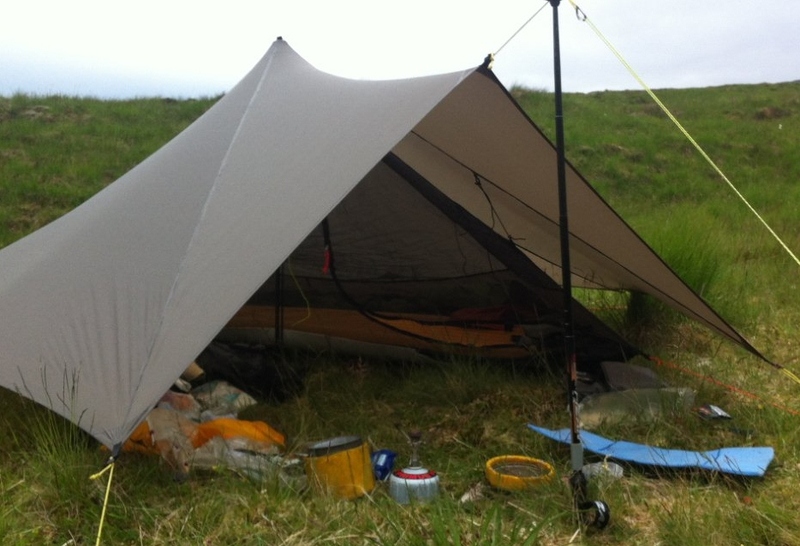 My ‘go to’ backpacking shelter is the MLD Trailstar and after publishing my review and pitching guide I thought it was worthwhile to look at the accessories I’ve used to suit the climate in Scotland. 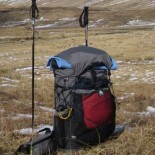 I’m a solo backpacker and use the Trailstar throughout the Scottish seasons, barring major storms or when significant dumps of snow are forecast, so have a number of different ‘inners’ that I use to suit various conditions. When the weather’s not too bad and there’s no midge around, I just use a thin foam ground sheet, it’s actually Flooring Underlay, and a 200cm * 80cm piece weighs about 120g. It comes pre-folded into 25cm panels but I find it easiest to fold into an 80cm * 50cm package which then fits neatly into the MLD Exodus pack, burrito style. This foam also acts as a backup ½ sleeping mat should the Exped Symat 7UL air mattress suffer a catastrophic failure. I’ll also carry a piece of Secondary glazing film (Polycryo also known as Polycro) quite a thin (about 250 gauge, 6 micron) but tough clear plastic film; a 80cm * 200cm piece weighs around 50g, a pack costs around £8 and is enough for 4 of my sized ground clothes. The material is not indestructible and can tear (easily fixed with duct tape); don’t put a hot pan directly onto it as it will shrink. I’ll usually deployed this next to the bed so that I can climb in and out ‘off’ the wet ground but could be used with the flooring underlay sleeping mat to sleep on in an emergency; during the summer I’ll pack the polycro in one of the outer pockets of the pack and use as a ‘sit mat’. I’ll also use the flooring underlay under the nest or bivi to save wear and tear on the thin Silnylon base; though not indestructible a piece of underlay will last me over a year (60 nights). Another alternative which I quite like is the Oooktub, a ground sheet with short raised walls; I haven’t used myself but I’ve seen one in use and IMO is a good bit of kit. For short trips in summer (midge season) the Borah Gear Bug Bivi is my preference being very lightweight (190g) and airy. 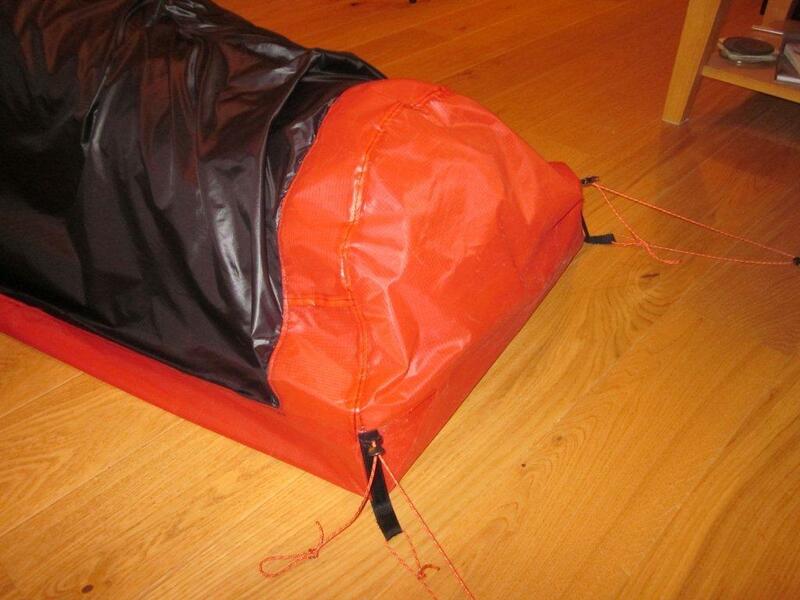 It has a lightweight 30D silnylon base, a ‘no see um’ (midge net) top and a simple ‘L’ zipper entry. I deliberately purchased the slightly wider version to give a little more room to be able to push off the quilt on warm nights, the construction is very simple which is reflected in the price, $75. 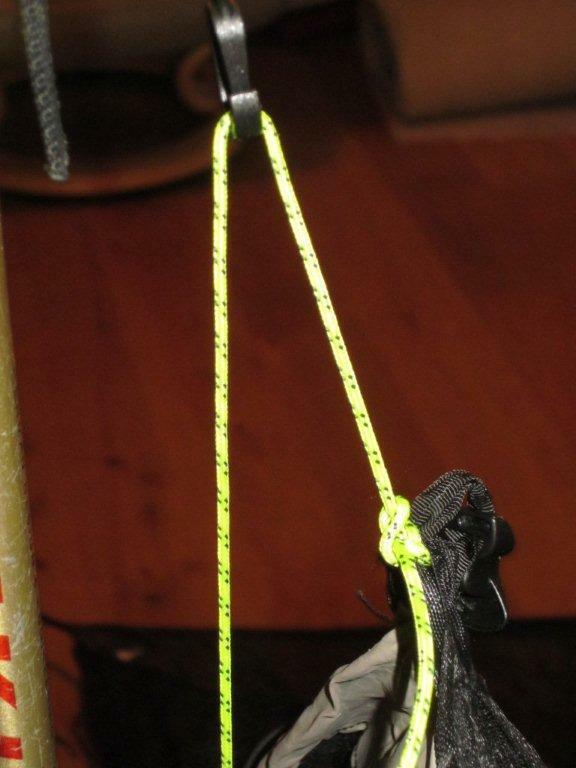 The head end has a loop for clipping off to the mitten hook under the Trailstar; I’ve found it less stressful on the mitten hook, the light mesh and tarp to use a short length of cord running through the hook to a 50cm peice of 2mm shock cord attached to the apex hook, once correctly adjusted this allows the bivi to be pulled off the face while having a decent length of shock cord in the system to cater for inadvertent pulls. Should the midge attack at supper time I’ve used this bivi as a very large hood, so I can sit and eat in comfort without being eaten alive. I have the BearPaw Pyranet 1 nest, with Trailstar customisation, it really converts the Trailstar into a double skin shelter with a huge vestibule. I must admit to originally wanting to go with the Oookwork Nest but delivery concerns at the time put me off; I’ve seen the Oookworks product in action and it probably is a better design and the quality is very good. The Trailstar/ Bug Nest combination makes a great shelter for extended trips in the midge season, I found it ideal for the Cape Wrath Trail as most of the pitches were in the glens where breezes can die to zero bringing the wee monsters out to feed. My nest weighs in at 430g (includes optional 25cm high solid walls), it does make the overall shelter 1160g (including stakes) which isn’t the lightest but it is very comfortable. The entrance is a simple ‘L’ shaped door which helps keep the front of the bathtub standing but is a bit restrictive getting in and out, also there’s a few shock cord tails that pull the mesh walls out to the mitten hooks under the tarp which help lift the bathtub upright. I normally pitch the nest along the RHS (head to entrance, as in the photo above) but I’ve added sufficient cordage to be able to pitch on the LHS or across the back and still pick up the Trailstar’s pegs; this gives a bit of flexibility to deal with a bumpy/ sloping pitch. On the apex rather than simply clipping directly to the mitten hook I’ve opted for a short length of 2mm cord passing through the mitten hook and down to a shock cord loop attached to the pole basket, this reduces the possibility of overstressing the hook and the nest’s mesh apex; I opted for this change after I clumsily managed to tear the mesh (one beer too many in the Rhoconich Hotel). The only criticism I could level at the Pyranet is that it can be a bit of a faff getting it set up correctly so that the bathtub ground sheet stands up especially if pitching lower than 120cm, the Oooknest tub design does overcomes this issue with only a small weight penalty. Outside the midge season I’ve been using the MLD Superlight Bivi, 205g, it’s not fully waterproof having only a DWR treated upper but does provide good protection for the sleeping bag against spindrift or the odd drip from melting frost as well as providing a couple of degrees of warmth. The additional layer in winter can help in keeping the down sleeping bag drier as the dew point (body perspiration) can be shifted to the bivi surface rather than being somewhere within the down. 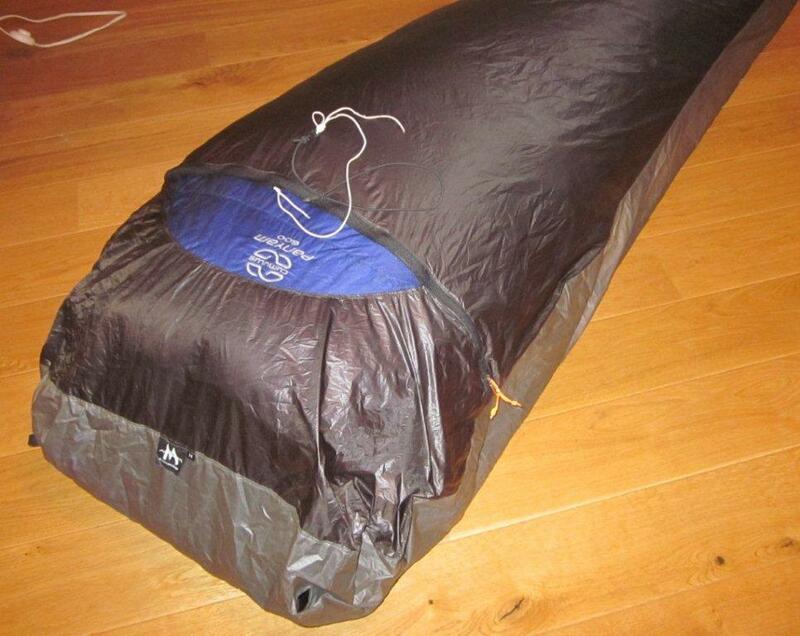 I’d recommend even tent users think about using a ‘sleeping bag cover’ (light weight DWR treat fabric) to boost the insulation in winter (as opposed to a bag liner) for this very purpose. I’ve the standard sized MLD bivi and it’s a snug fit for the Exped mat + Alpkit Pipedream 400 + Me (1.68m and 65kg) but really too tight for using with the Cumulus Panyam 600 as the down loft is restricted. The only niggles I have is that when used with the Exped Synmat 7UL and the Exped UL Pillow is that the head room is too tight and the small half moon netting window a little claustrophobic. I really should do some ‘customising’; it really needs an extra 10cm high panel stitching in around the head, this may also solve the claustrophobia issue. I really needed to get a larger bivi bag for use with the Panyam 600 as I’d had to sleep with the Synmat outside the MLD bivi which isn’t the most thermally efficient. I liked the Sean’s idea of a hybrid Oooktub + bivi (prototype HERE) but I also liked the idea of some form of hood to keep out the drafts from around the head (I’m a side sleeper so don’t like having the mummy hood on the sleeping bag cinched up) and capable of being fully zipped up (with mesh panel) to keep out blowing snow etc. as well as increasing the thermal efficiency. I suppose that I could have had Sean do a custom build but again noises of delivery issues put me off so I decided on the MYO approach, at least then I’ll have no-one else to blame if I don’t get what I want. Silnylon bottom with bathtub form and corner struts like the Oooktubs. Getting the sizing was quite straight forward; I made a cardboard bath tub (10cm walls) and tried it out for size and eventually trimming it down to 70cm wide at the head, 60cm wide at the feet and 190cm long; this provides sufficient space to get the boots, gas canister and clothes down the side of the mat. 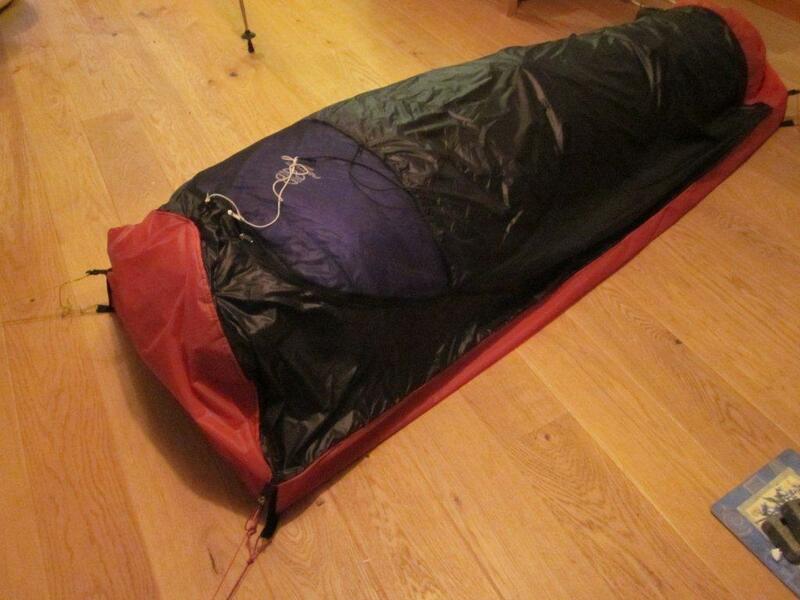 I was then a simple matter of climbing the sleeping bag and having the wife take some circumference measurements. For me this worked out as 205cm around the chest/ shoulders and 175cm around the feet. I then knocked up a prototype using material salvaged from a scrap frame tent and tried it out for size, not pretty but it served to purpose. The final product weighs in at 285g including tie-outs, as little above target (32g on account of having to use 65g/m2 Silnylon rather than 50g/m2 for the ground sheet). I’m no professional with a sewing machine so it did stretch my sewing skills a little, but it ticks all my boxes. 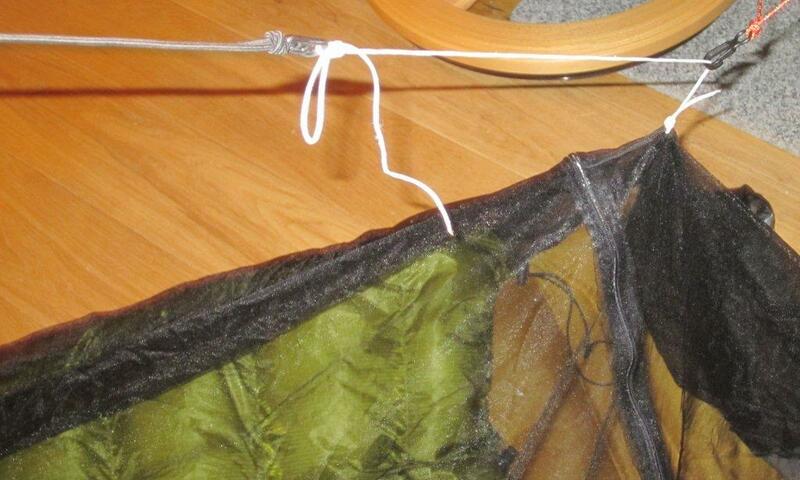 The bivi has a zipper entry down the LHS, it runs around the top of the mesh window and down to the RH shoulder, this allows the mesh panel to be turned down if not desired while maintaining the ‘hood’ around the head and shoulders. I wanted to be able to use the bivi without nailing it down (just in case) so opted to add a short silnylon foot box to guard against the feet brushing the tarp. Now let’s see if it stands the test of time and my clumsiness! Useful comments on the Pyranet 1 and the Tstar. I have both myself, I like the Pyranet though agree it’s a bit of a faff to pitch. I imagine if I was buying now I might have bought a nest from MLD. I can’t comment on the MLD nest as I haven’t come across one yet but given the quality of their other products it must be worthy of looking at and it has the same corner struts that gave the Oookworks design an edge. 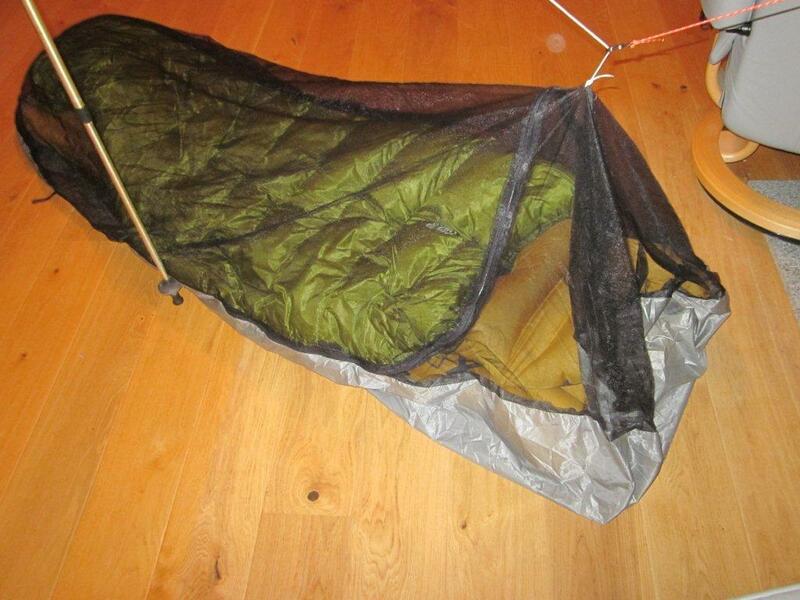 Personally I find I only use the nest on longer trips in bug season, at all other times it’s one of the bivi bags. 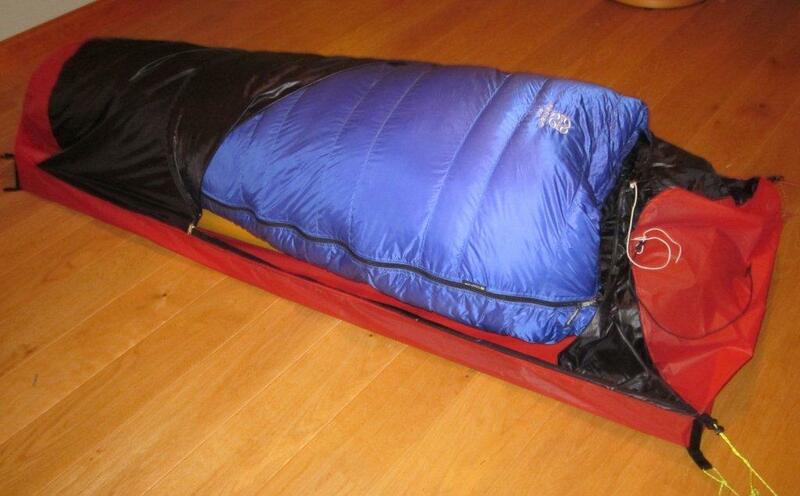 The MYO bivi looks great…Did it stand the test of time? Still going strong though not getting a lot of use now that I have MYO nest for the Duomid that’s comparible weight. 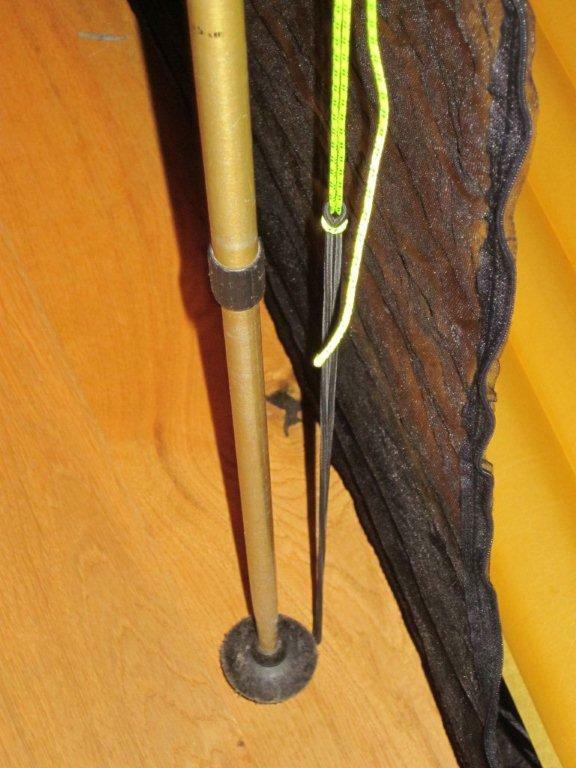 This entry was posted on January 29, 2014 by Paul Atkinson in Gear, MYOG and tagged 2014, backpacking, Gear, MYOG.